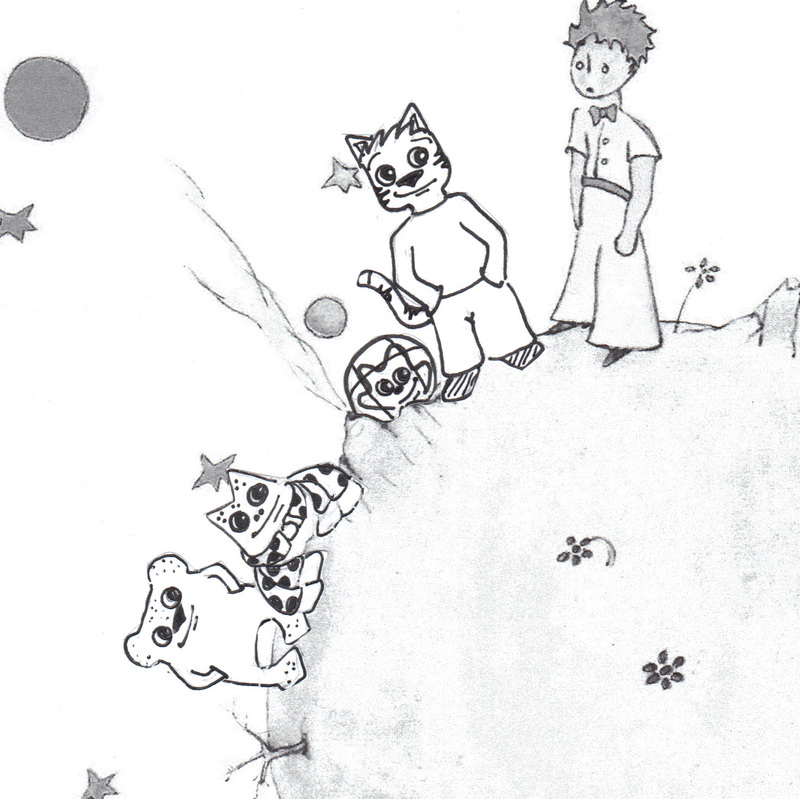 The Little Prince and friends. What a cat! Ah! And even that posse didn’t make him happy! Funny picture! 🙂 Love the story of the little prince.